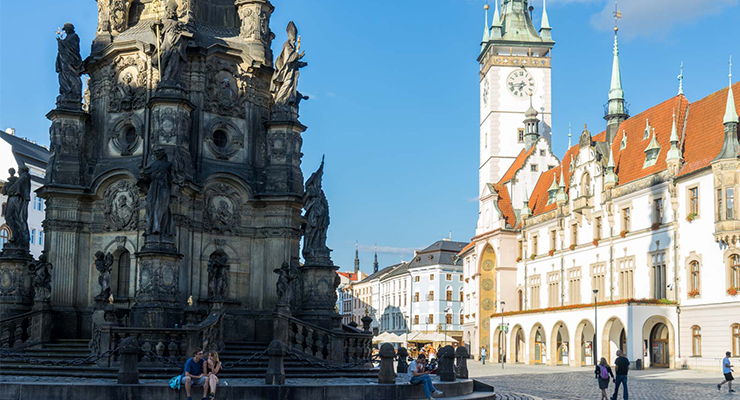 Located in the East of the Czech Republic, Olomouc is largely overlooked by visitors to the Czech Republic in favour of Prague. Many travellers who have visited Olomouc will tell you that it is a smaller and more authentic version of the Prague, which is now effectively a major European destination. It does however have its own quirks and charms, being far off the radar of most city breakers you will find a unique cultural experience, steeped in a historical & ecclesiastical significance. Olomouc has several large town squares with the main square being overlooked by the holy trinity column, a UNESCO world heritage site. Olomouc is also a city inundated with ecclesiastical heritage. St. Wenceslas Cathedral, The Chapel of St. John Sarkander & St. Moritz church all have unique and sometimes tragic storied histories, dating back through the centuries. In the chapel of St. John you can visit the crypt where the martyr was imprisoned and tortured. A well renowned museum of modern art, an astronomical clock in the main square similar to the more famous one in Prague and a wide range of micro-breweries & local beer will also be sure to delight guests. Perhaps the most captivating thing about the Czech city is the cobbled streets and unique architecture encapsulating the majestic city and endearing it to all who visit. 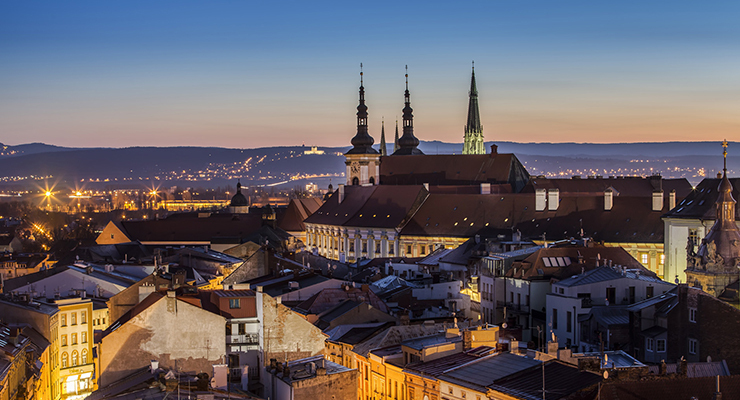 Unfortunately, you won’t get any direct flights from any Irish airport to Olomouc. However direct flights to Prague are very frequent. If you book at the right time you could get return flights for between €120 – €150. From Prague you will need a 1.5-2 hour train journey to reach Olomouc, with the train only costing you €15 return. Savvy travellers could even get both cities into the one trip! In terms of accommodation you are spoiled for choice. The city has a wide range of hotels from 1-5 stars that you can choose from. Hostels and Airbnb or other home share options are also available. If you go during the summer months, you may be able to avail of mega cheap vacant student dorms that are available throughout the city outside of term time. We would highly recommend Olomouc for a city break or an extended stay for anyone desiring a more unique city experience within the Czech Republic. A number of other attractions are available in the scenic regions surrounding the city including the Holy Hill, boasting a view of the entire city and beyond. Bike rentals are quite common in the region as well. The city truly does offer a unique experience for anyone who wants to experience a vibrant, less tourist oriented European city. Interested in more of our ‘Off The Beaten Track’ destinations? Why not have a look at the rest of the series: Jujuy Province in Argentina, Slovenia, Cameroon, Kyrgyzstan, Urumqi, China.